Streaming TV Shows and Movies on Netflix and iflix in Cambodia? 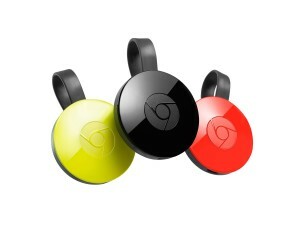 For those with a Google Chromecast, you must be excited more than any others. Using Netflix on your Chromecast? Read on to learn the how-to and which is Cambodia’s best Internet Service Providers (ISPs) that provides you the ultimate experience to stream Netflix. Netflix is now available around the world, including Cambodia. Using Google Chromecast to stream Netflix and other Video on Demand Services? “Netflix launched its service globally, simultaneously bringing its Internet TV network to more than 130 new countries around the world,” according the company’s recent news release. This global launch also includes Cambodia. So you want to watch TV shows & movies anytime, anywhere? The basic subscription plan starts at USD 7.99. While you’ll need to subscribe for an account, you’ll need a really good internet connection to stream the high resolution video and movie content. In this blog post, you’ll get to know about the Internet Service Provider (ISP) that’s more than good enough for streaming Netflix. With Netflix video content, you’d need the most optimal Netflix streaming. You’ll also learn how to setup Chromecast, a Google’s a media streaming device that plugs into the HDMI port on your TV. SINET is an ISP offering dedicated fiber optic connection. Everything you need to know about how to stream video on demand (VOD) in Cambodia. Video streaming on demand is taking of in Cambodia thanks in large part to faster Internet speed. Home users can easily subscribe to fiber Internet connection that allow them to stream online full HD videos without compromise. In this blog post, you’ll learn about the available online streaming services available to Cambodia-based users. For example, starting since last year, anyone here could pay for latest movies, TV shows, and documentaries on Netflix. In mid 2017, more local and regional services also started to offer more tailored and local choices. Starting in January 2016, Cambodia-based users could watch TV shows and movies through the world’s most popular service Netflix. Last year’s launch by the American company means that the Cambodian market and the Internet infrastructure are ready. To stream an ultra HD quality TV show or movie through Netflix, the required Internet speed is 25 Megabits per second (Mbps) or 5 Mbps for an HD movie like ‘First They Killed My Father’. Surprisingly, 4G LTE offers up to 11.85 Mbps. Smart is the winner of Cambodia’s fastest mobile networks 2016, according to Speedtest by Ookla. However, it’s highly not recommended to stream a Netflix video show via your limited bandwidth data as pay as go is very expensive. To stream online TV shows and movies smoothly, all you need is speed and stable Internet link. But you can have a Fiber Edge, a decent Internet connection more than recommended by Netflix for HD content streaming. With these Internet packages, you don’t have to worry about data cap (or bandwidth cap). Did you know that it takes up to 3 GB per hour for each stream of HD video? In July 2017, Cambodia-based digital media company Sabay Digital unveiled Soyo, probably the country’s first streaming service. What appeals to most Cambodian audience is its Cambodian-made shows as well as Thai and South Korean TV dramas and movies. Sabay Digital has its own Internet infrastructure for local streaming. Is also the latest streaming service tailored to the Cambodian market. To enter the crowded market, Malaysia-based subscription video-on-demand service iflix has publicly announced its website in Khmer language that it’s coming soon! Netflix: The standard subscription (HD quality) is 9.99 per month. Or $11.99 for Ultra HD streaming. Both the Standard and Unlimited plan allow you to watch unlimited movies and TV shows. Netflix can quickly hook you up with its first one-month free trial. Of course, you can cancel your subscription anytime. Why you need a Google Chromecast in Cambodia? ice, you’ve got glorified gateways to streaming content. It’s a portal for your favorite streaming apps on your mobile device to be “cast” onto your TV. If you own an Android or iOS device, buy the new Chromecast (it’s called Chromecast 2). Its smart phone app on Play Store is now branded as Google Home. Surprisingly, you can buy a Chromecast 2 in Phnom Penh, Cambodia. Where to get a Chromecast in Phnom Penh? The Chromecast’s features is unique when compared to other streaming media devices such Amazon Fire TV stick or Roku Streaming Player. Using apps on your mobile device (smartphone or tablet) or computer, you essentially hand off — or cast — content to the Chromecast by tapping the Chromecast symbol from within the app. Your phone is your remote. No separate remote means no additional device to deal with or to learn how to use it. Google’s Chromecast devices can run on Android tablets and smartphones, iPads and iPhones, and Chrome for Microsoft Windows and Apple Mac OS X. Cast your Android screen from the Chromecast app. An app called AllCast adds Chromecast support, streams local media to your TV. There is also an app called Tube Cast, which offers some limited YouTube functionality for Windows phones over Chromecast. Using Netflix on your Chromecast. The Google’s streaming device is highly supported by Netflix. Stream in your hotel room. Watch media that’s stored on your other devices. Or you can even take the Cheomecast with you when you travel. This feels like magic when you’re able to stream what you see on your Android devices to the TV. You can show your photos and videos with your family members and loved in your sweet home. Google Chromecast works directly with Netflix’s mobile apps on smartphones and tablets. This means that users can easily find movies and TV shows to watch. Upon selecting a title, playback can be launched directly on a Chromecast-connected TV. You can also browse for the next movie to watch while the previous one is still running. Netflix’s apps also offer access to categories to browse. For Android users, it also has the best voice search of all platforms, and it’s one of the fastest ways to watch Netflix on your TV once Google and Netflix add pre-caching of content for Chromecast. Cool? To connect your Chromecast to your Netflix account, make sure you have connected your Chromecast to your TV and Wi-Fi network, then follow the steps below. Your mobile device or computer must be connected to the same Wi-Fi network as your Chromecast. Launch the Netflix app on your Android device, Apple mobile device, or visit the Netflix website in your Chrome browser. Once you’re signed in, select the Cast icon in the upper right or lower right side of the screen. Select your Chromecast device from the list to launch the Netflix app on your TV. Select the movie or TV show of your choice and press Play. By following the above 4 steps, your device is now connected to your Netflix account. Happy Netflixing! Related: What are the best Internet Service Providers (ISPs) in Cambodia?